Urban Sprout Farms is a biodynamic, certified organic Urban Farm located in the Polar Rock neighborhood of Lakewood Heights in Atlanta. Founded in 2012 by Nuri Icgoren, Urban Sprout Farms has been growing ever since, producing an average of 8,600 pounds of food anually. 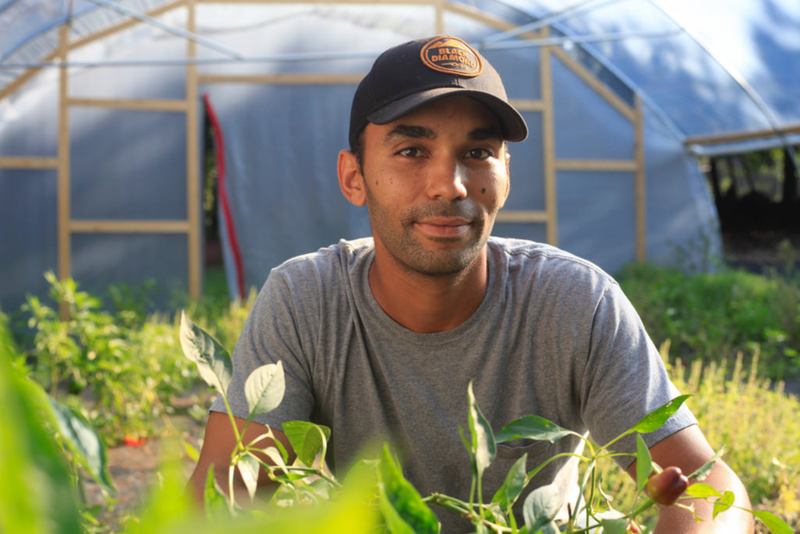 Urban Sprout Farms is actively building an urban agricultural hub that serves as an entrepreneurial incubator for food and farming enterprises. Our five-acre plot, just a few miles southeast of Downtown Atlanta, is home to hoop houses, fresh herb and flower beds, colorfully painted event space, community, and a big vision for the future. We are working tirelessly toward our urban agricultural hub vision by building a test commercial kitchen and a tiny house community development, with many more exciting things planned for the future. We produce fresh food for our community and encourage community involvement. We offer an on-site farmers market selling fresh produce, flowers (seasonally), plants and soil. We are open Saturdays, 9 AM - 1 PM. We also hold community events all year long, including school tours, workshops, yoga on the farm, and movie nights. Our creative event space is available to rent and could be the perfect spot for your next event. Contact us to learn more!